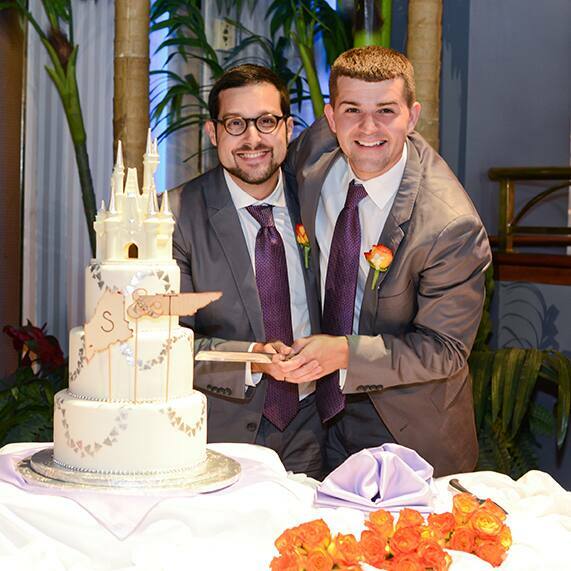 This week's Wedding Cake Wednesday shows that no matter where you're from, home is where the heart is. 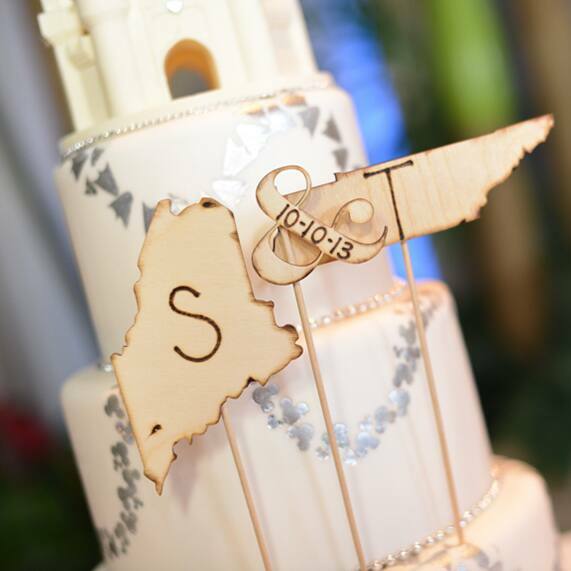 Newlyweds Scott & Tevy showed their roots by adding cutout shapes of their home states to their cake. The whimsical nod was a sweet way to show their appreciation to their family and friends who travelled from Maine and Tennessee for the special occasion. Complete with pearls, silver Hidden Mickeys and a white chocolate castle cake topper, this three tier Walt Disney World cake was a fun (and delicious!) way to end the evening. To see more of Scott and Tevy's Atlantic Dance Hall reception, check out their Real Couple Spotlight.